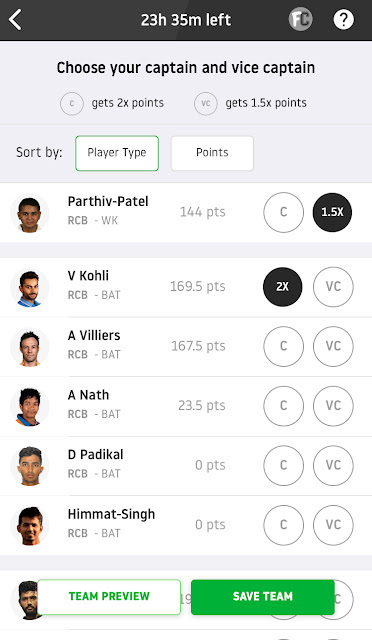 Do you know what is Dream11? I am going to explain it in simple words. It is a fantasy sports platform where you can earn real money. Yes! real money. 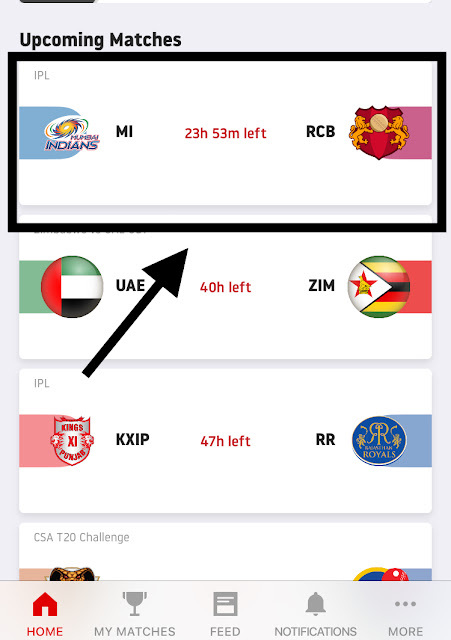 Nowadays IPL is going on, and if you are a cricket geek then you can earn money on dream11. 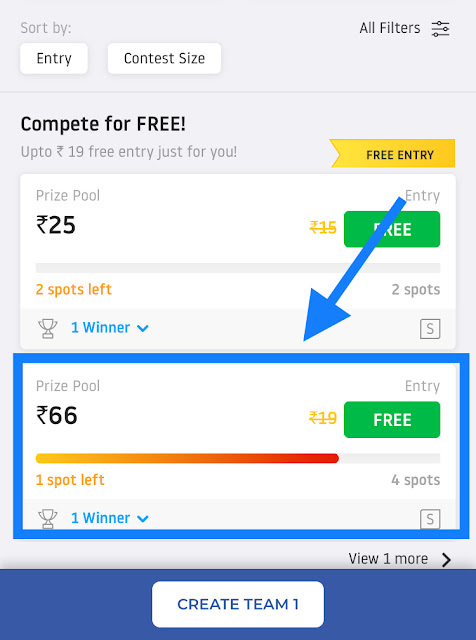 When you click on the match, you will get free and paid contests, it is your choice what you want to select. If you are a newbie then you can play free to understand the logic...I am going to play a free contest. 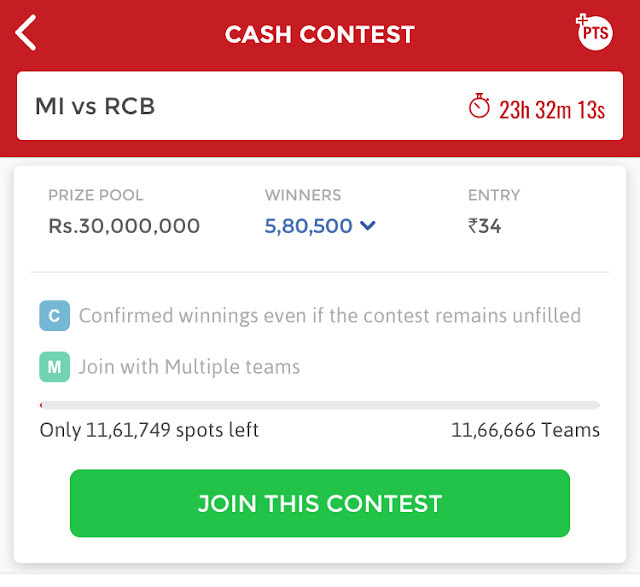 It is free and if I get the first rank after the game then I'll win ₹66 real money to my Dream11 wallet(that money can be transferred later to the bank account). Now, I have to create a team. Every time, you will get 100 points for creating a team. Select the captain, vice-captain, and other players and make a team. See, this is my team. Now watch the real game, if the players that are in your fantasy team score run or take wickets than you will earn points. At the end of the match, if you score better rank then you will win a great amount. See, This is a paid contest, there are 580500 winners in this contest. 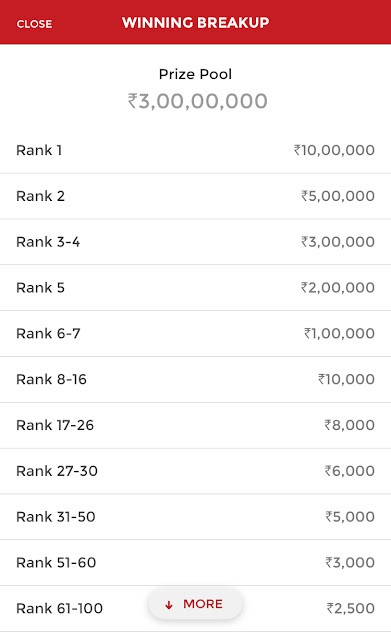 Even if you are not on the top still you can earn money but the better you rank the more you earn.